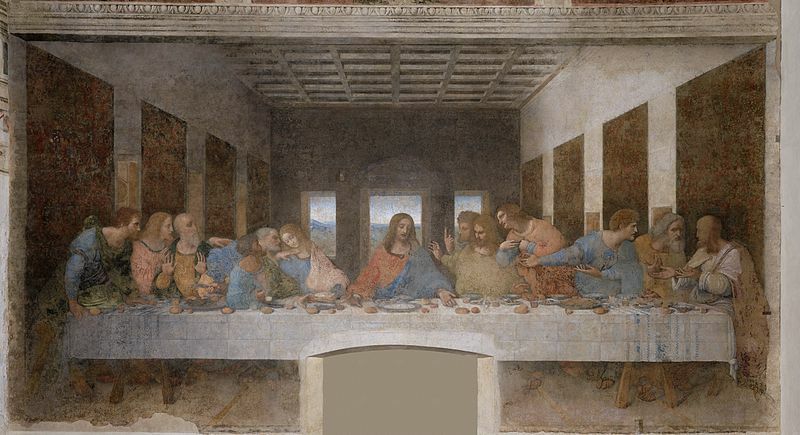 This evening, along with many congregations around the world, our church community will celebrate the night that Jesus met with His disciples in the Upper Room for what is commonly known as, ‘The Last Supper.’ Borrowing from a friend who pastors a church in San Francisco, for the past three years we have celebrated with a soup dinner, worship and the Lord’s Supper. It is a sweet time. On the most surface of levels that night could not have been more disastrous for Jesus. Not only did He disclose his impending death, but also He had to arbitrate His friends’ objections, internal arguments and despair. Additionally, it was in that room that He confronted His chief betrayer, Judas. Later that evening He would be arrested, and the next day, put to death. And yet there could not be a more hopeful dinner party than that evening, because in the midst of the sad news, the disappointed friends and the torment to visit Jesus until He died, came a promise: “I tell you, I will not drink of this fruit of the vine from now on until that day when I drink it anew with you in my Father’s kingdom” (Matthew 26:29). Though His friends could not see it, Jesus assured them – and us – that the end would not be the end, but the beginning that would find its greatest expression in God’s Kingdom. Interestingly this was the one and only feast that we know of Jesus inviting His friends to during His earthly ministry. This was His feast. I suspect that the food was incredible. But it was only a taste. And by instituting the Lord’s Supper, He assured us that until the Kingdom comes and He once again sits with us, He will be our Feast. Jesus will always be enough. What good news. Mike, again, you touched my heart with your words that I know that only the Holy Spirit and a genuine relationship with Christ can inspire. I am so looking forward to the Maundy Thursday service. I’ve never attended one in all of my 77 years, and I know it’s going to be something to remember until the Lord calls me home. I love Chapelgate church, and I’m so thankful that God took brought me here several years ago. Even though I live in Laurel, and don’t have the energy or opportunity to attend more services than Sunday worship because I work four days a week, I so look forward to attending church on Sunday mornings. Again, thank you and the ministerial team at Chapelgate for all that you do to bring honor and glory to our Lord and Savior, Jesus Christ. Righteous post… I think of that last feast everytime I eat hummus. Do you think Jesus felt sorry for Judas rather than confrontational? Everyone had a role to play in the PLAN. Jesus, the ultimate sacrifice and Judas the ultimate betrayer. I don’t think He was as upset with Judas for the betrayal as we He was concerned that Judas might not have the heart to go through with it. The betrayal was in the DIVINE ORDER. It HAD to happen for the Death and Resurrection to take place under just those very circumstances. Judas was hand picked for that role, whether for his strengths or his weaknesses. Anyway, I like to think of Jesus bringing Judas into His bosom in forgiveness. I think He died for Judas too. You are currently reading The Feast of Hope at unfinished1.